If your imaging facility is still using computed radiography (CR) – – and many of you are — you should know that Medicare reimbursement for CR-based x-ray studies will be reduced starting in 2018. The reduction is part of the U.S. government’s budget legislation, passed at the end of 2015, HR 2029. The law will reduce CR payments by 7% starting in 2018, and then by 10% in 2023. • Section 502 incentivizes the transition from traditional x-ray imaging to digital radiography by reducing by 20% the Medicare hospital outpatient PPS and physician fee schedule payment for the technical component (including the technical component portion of a global service)’ of film x-rays beginning in 2017. In addition, the OPPS payment and physician fee schedule payment for the technical component of an x-ray taken using “computed radiography technology” will be reduced by 7% during 2018 through 2022, with a 10% reduction applicable beginning in 2023. 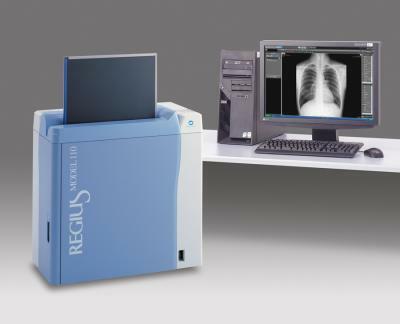 The term “computed radiography technology” is defined to mean cassette-based imaging which utilizes an imaging plate to create the image. In addition, the bill reduces the discount in payment for the professional component of multiple imaging services furnished on or after January 1, 2017 from 25% to 5%. • Section 503 limits Medicaid durable medical equipment reimbursement to Medicare fee-for-service payment rates, including applicable competitive bidding rates, beginning January 1, 2019. • Section 504 authorizes separate Medicare payment to home health agencies when they use cost effective disposable alternatives to negative pressure wound therapy equipment, beginning in 2017. With regard to the ACA, the appropriations bill delays for two years the excise tax on high-cost employer sponsored health coverage (the so-called “Cadillac tax“), meaning that it would apply beginning in 2020. The bill also provides for a one-year moratorium on the annual excise tax imposed on health insurers for calendar year 2017, and it cuts funding for the Independent Medicare Advisory Board by $15 million.